The biggest event on the planet will commence next summer in Rio de Janeiro, Brazil and with a huge increase in hotel bookings expected the Norwegian Getaway has come to the rescue to used as a hotel. It’s comment for cruise ships to help out during large-scale events and often vessels will offer special cruises sail near where events are being held just like MSC Cruises did during the FIFA World Cup in 2014. NCL seems to have a good relationship with the Olympics as the Norwegian Jade was used during the 2014 Winter Olympics in Sochi, Russia. According to Inside The Games the news was released by a Rio 2016 official who was visiting an event in Puerto Vallarta, Mexico. The 146,600 ton Norwegian getaway will be situated near the Maracana Stadium which is where a lot of the action will take place. Guests onboard the ship will be able to get easy access to local events and whats better is they’ll be able to enjoy all the Olympic atmosphere that’s expected to hit the city once the games begin. 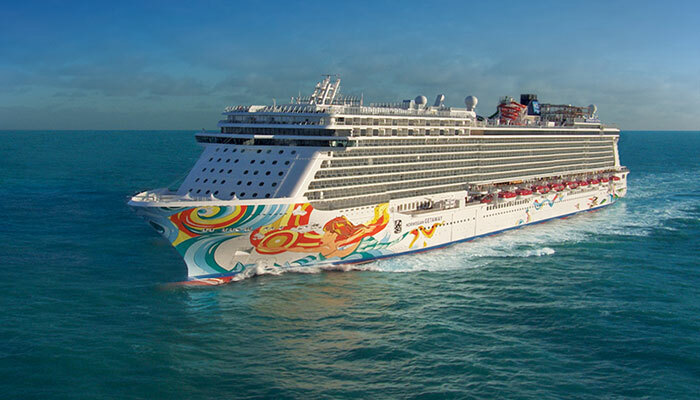 Norwegian Getaway has almost 2,000 staterooms available so almost 4,000 guests will be able to enjoy the ships service during this time. The vessel will help ease the pressure on local hotels that are expected to be booked up during the summer Olympics. We’re sure more details about the deployment will be released soon but for now just think how nice the Norwegian Getaway’s hull artwork will look while in Brazil. With all the public venues onboard and a Miami vibe whic is where the ship is currently sailing from it’s a perfect choice for the Olympics.